Samsung is a dangerous competitor in the SSD space. Not only does it make its own controller, DRAM and NAND, but it also has an incredible track record in terms of reliability. Samsung SSDs were among the first I reviewed and while they weren't anywhere near the fastest back then, every last one of those drives is still working without issue in my lab today. It's also worth pointing out that Samsung SSDs are also one of the two options Apple rebrands and delivers in its Mac lineup. To continue to hold on to Apple's business for this long is an impressive feat on Samsung's part. In the early days Samsung actually sold reference designs to companies like Corsair and OCZ. Its partners could then rebrand and resell the drives, which they did. Samsung was still learning the market and after being overshadowed by Indilinx in the performance segment, Samsung retreated. Returning last year to the consumer market Samsung had a new strategy in mind: go directly after the channel. 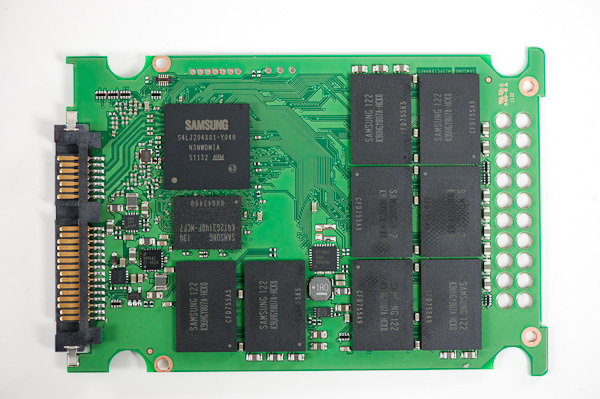 Seeing no point in reselling its designs to third parties, Samsung made its SSD 470 available to both OEMs and consumers alike. OEMs were free to obscure the Samsung name but consumers were told upfront what they were getting. Samsung even spent a good amount on packaging for their drive just to develop its brand. Although the 470 was a downright decent 3Gbps drive, it was competing in a world dominated by 6Gbps alternatives. Crucial's m4, Intel's SSD 510 and OCZ's Vertex 3 all offered better performance, at a similar price point. The only leg Samsung had to stand on was reliability, which believe it or not can sometimes take second place to performance depending on the target market. What Samsung needed was a faster drive that didn't sacrifice reliability and didn't move price points up. 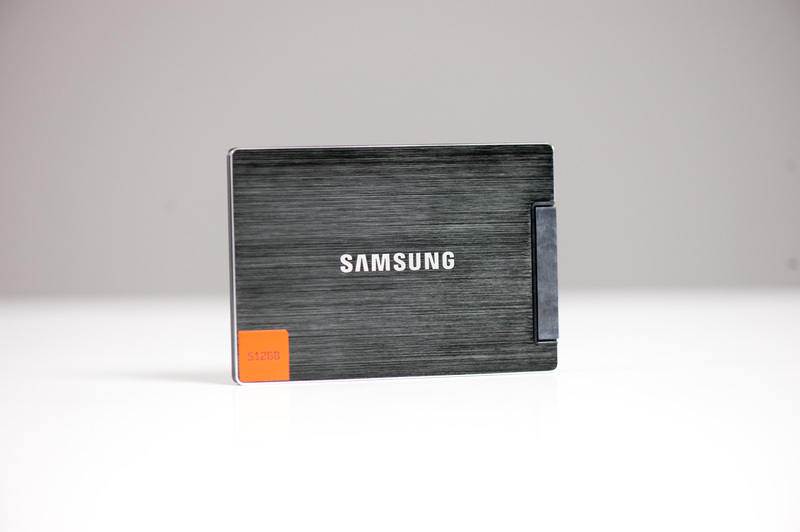 That's exactly what the Samsung SSD 830 is designed to do. As we've already mentioned, the 830 is an evolution of the 470 design. It still employs a page-mapped architecture to deliver high random and sequential performance, but as a result requires quite a bit of on-board memory. Samsung has no qualms about storing user data in DRAM temporarily so it outfits the SSD 830 with a massive 256MB DDR2 cache. While this cache was spread over two chips in the 470, it is contained in a single package in the 830. 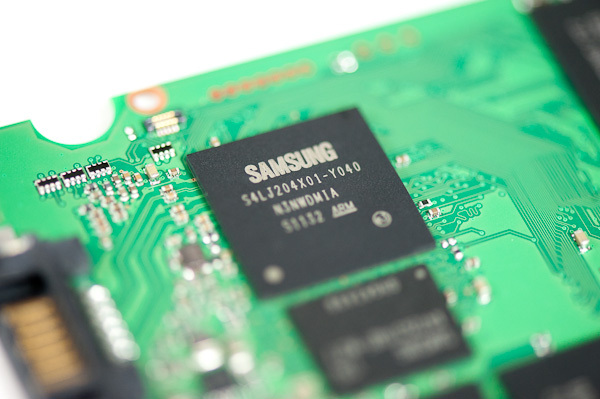 On the interface side Samsung gave the 830 a much needed upgrade to 6Gbps SATA. With a higher speed interface to the host controller and some tweaks on the firmware side Samsung is able to deliver much higher performance than the outgoing 470. Samsung manufactures and uses its own 2x-nm Toggle-mode DDR NAND which is fairly similar in performance to the ONFi 2.x NAND used by Intel and Crucial (133Mbps data rates per interface). 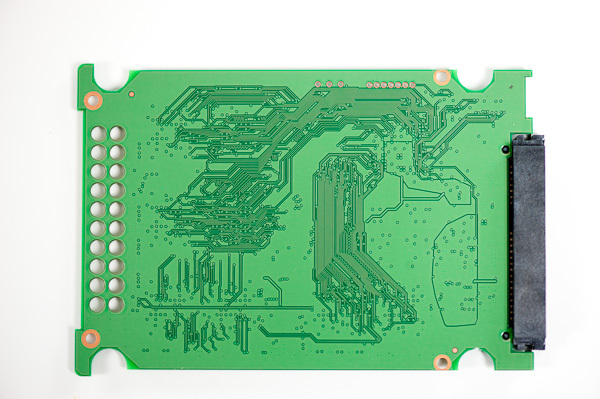 Little is known about the 830's controller other than it is a multi-core ARM design. Samsung claims the controller has three cores however we don't have any information on the design of each core nor the type of work each one does. 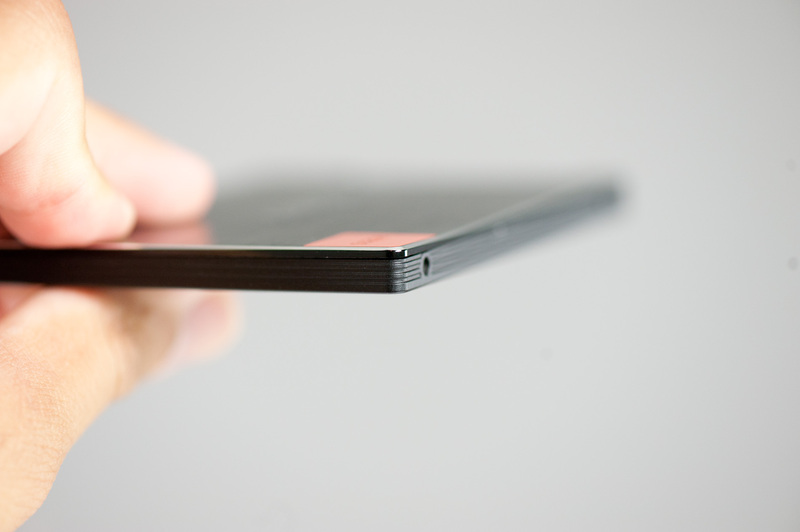 As SandForce has claimed in the past, SSDs are rarely limited by processing power. Instead it's the firmware, algorithms and internal chip memories that ultimately determine performance. Samsung has claimed in the past its multi-core design yields better performance under multitasking workloads but I'm guessing that's more marketing than substantive. The enterprise version of the 830 enables full-disk encryption (AES-256) however Samsung's product literature doesn't clarify whether or not the same is true for the consumer version. The SSD 830 is the consumer version of Samsung's recently announced PM830. The two drives use identical hardware but they do differ in initial firmware revisions. Samsung will provide firmware updates (Windows only) via its Magician Software. Users are also able to configure the amount of spare area on the drive using the Magician toolbox. By default spare area is set at a standard ~7% (just what you get from the GB to GiB conversion), putting the 830 on par with Intel and Crucial in that regard. For the most part the SSD 470 is priced competitively with the Crucial m4 and OCZ Vertex 3. Crucial is a bit cheaper across the board but the gap is at most $20. If Samsung can keep its 830 pricing on par with where the 470 is today, I'll have absolutely no complaints. The 830 will be available in four capacities, each of which will be available in three different versions: bare drive, laptop installation kit and desktop installation kit. The bare drive will be the cheapest option while the laptop kit gives you Norton Ghost + a SATA to USB cable and the desktop kit gives you Norton Ghost + a 2.5" to 3.5" adapter (with SATA cable). Samsung sent us a 512GB drive, however as you can see from the table above the performance should be identical to the 256GB version. We are trying to get our hands on lower capacity versions as well to see how they perform. Inside the 512GB drive are only 8 NAND packages occupying one side of the PCB. These are octal-die packages with 64GB of total NAND per package. Each die is obviously 8GB in capacity. Great article! I'm a little curious, though, as to why you prefer a drive to garbage collect in real time rather than cleaning up after the fact. While I think I sympathize with the idea of improving worst-case performance at the expense of the average, which essentially gives users a less bumpy ride, aren't most typical desktop usage scenarios full of idle disk time? You are correct, for mostly idle workloads it should work fine. The problem is with a mostly full drive, it's possible that during bursty periods of work the performance will degrade to the point that you'd notice it. Hopefully it'd correct overnight but if you sleep your machine then it prolongs the process. I'd argue that most desktop workloads won't show the difference between 150MB/s and 100MB/s in 4KB random writes. I'd much rather have the latter and enjoy a more consistent user experience. I do understand Samsung's argument that delaying garbage collection would seem to work for mostly idle scenarios, I just don't believe there's any downside to doing it the opposite way and only potential upside there. Even if the common user don't use it, is important to know. Well, enthusiast gamers usually use SSD as game installation disk, and they would (mostly) play games right away after installing or downloading from Steam.